REMINDER: SGC Meeting on Tuesday, 02/09/16 – 10 a.m.
Come join us for the next Sunnyvale Garden Club meeting scheduled on Tuesday, February 9th, 10AM. The meeting will be held at the Sunnyvale Community Center, 417 E. Tripp Road. Our membership drive starts soon, so why not bring a friend or a family member who is interested in plants, gardening, eating delicious homemade food … and socializing with wonderful people? Our meetings are a great place for people to meet new friends and get involved in community activities! Program – to BEE or NOT to BEE – Presented by Janet D. Smith – Janet presents over 40 presentations a year for DCMGA. 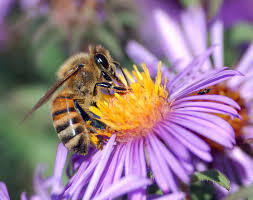 Learn about native and imported bees. Why we need them and how we can keep them. REMINDER; Please bring your items for the Valentine Bags that we will be making and delivering to the residents of the Christian Care Center! Make and deliver Valentine’s Bags to the residents of the Christian Care Center.